A Chinese company, working with researchers in Sichuan and Boston, says its algorithm – similar to that enabling self-driving vehicles – could be a second set of eyes for polyp detection. 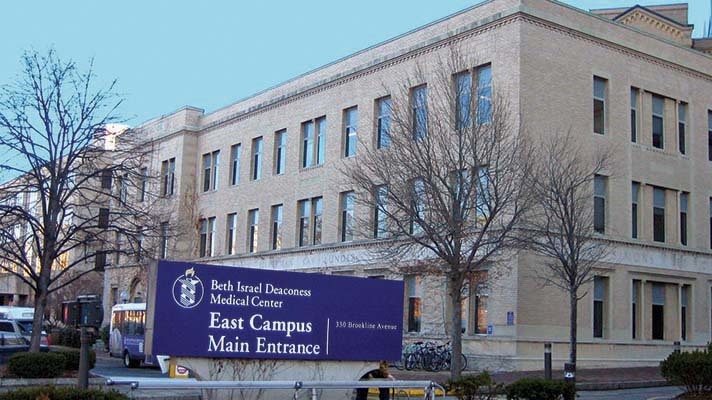 Researchers at Beth Israel Deaconess Medical Center and Harvard Medical School, working alongside investigators Sichuan Academy of Medical Sciences and Sichuan Provincial People's Hospital in China, have found success applying machine learning to detect adenomatous polyps during colonoscopy. The findings, announced by Chinese artificial intelligence vendor Shanghai Wision AI Co., whose algorithms were applied to the imaging, could one day allow for "self-driving" in colonoscopy procedures, the company said. The reason for that turn of phrase is that the technology architecture upon which those algorithms were developed is the same that allows self-driving cars to navigate the road, according to Wision AI. Clinical use of artificial intelligence is still in its very early stages, of course. One of the biggest challenges is that the dataset used to validate AI algorithms is much smaller than the development dataset – leading to an overly specified algorithm that has limited worth for real-world settings. Wision AI says its algorithm was validated on "large, prospectively developed datasets that were collected independently from the training dataset and were several-fold larger than the training dataset," helping boost potential performance for actual clinical use cases. Developed using 5,545 images – 65.5 percent containing polyps and 34.5 percent without them – from the de-identified colonoscopy reports of 1,290 patients, the algorithm was validated on four independent datasets: two sets for image analysis and two sets for video analysis. The ability to detect and remove precancerous polyps during colonoscopy is optimal for colon cancer prevention. But researchers point out that, in more than 14 million colonoscopies done each year in the U.S., the "miss rate" for adenomas is 6-27 percent. That's often because it's very difficult for clinicians to recognize such polyps, which may become cancerous, visually. The Wision AI algorithm has shown promise acting as "second set of eyes" and could help improve detection rates by as much as to 30 percent, according to Wision AI. Despite the fact that it's still in the early going, clinical use of AI has been making some interesting inroads recently, everywhere from creating clinical pathways to drug development to clinical trial management. "Previous studies have shown that every one percent increase in the rate of detecting precancerous polyps results in a three percent decrease in the risk of interval colon cancer," said Tyler Berzin, MD, director, advanced endoscopy fellowship at BIDMC. "This underscores the importance of accurate polyp detection. "The encouraging results obtained using Wision AI demonstrate that a novel deep-learning algorithm can automatically detect polyps during colonoscopy, opening new doors to increasing the effectiveness of screening colonoscopy and enabling a new quality control metric that may improve endoscopy skills," he added. "The results of this study demonstrate the power of our rigorous approach to developing deep-learning algorithms, which utilizes distinct datasets for training and validation and results in high levels of specificity and sensitivity that have the potential to improve diagnostic screening methods that are known to reduce disease risk, improve health outcomes and save lives," said JingJia Liu, CEO of Wision AI.